Anything & Everything: Rain Forest Challenge 2007! 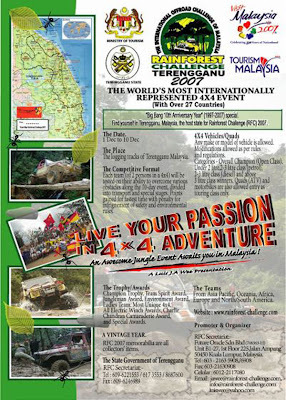 Once again, Rain Forest Challenge(RFC) is gonna held on 1-10 December 2007 at Terengganu. I though i saw KFC..